Creatives who work in corporate offices can often be a frustrated bunch. Because their imaginative brains need flexibility and time to conceptualize and brainstorm, they tend to feel stifled by the rigid parameters of business-driven objectives and deadlines. They’re also often forced to deal with difficult clients (internal and external) who don’t seem to understand or appreciate the creative process. Such friction may be one reason only 50% of creative workers say they’re “mostly satisfied” with their current role and about one-fifth are looking for a new position, according to The BOSS Group’s 2014 report of in-house creative services teams. And the average turnover rate in advertising/public relations/marketing services could be as high as 13%—a full five percentage points higher than other industry averages—an estimate from jobsDB finds. For any business that employs creatives, those stats should be extremely alarming, as creative talent can be a major differentiator for your brand and turnover can be extremely expensive. 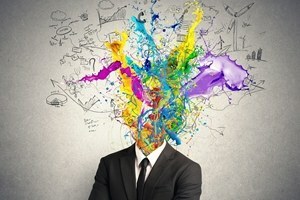 The cost to replace an employee (creative or otherwise) is about 20% of an employee’s annual salary, which means that hiring a new art director (median annual salary of $ 95,000) could cost nearly $ 20,000—money your company could be saving by ensuring your creative employees are happy in the first place. What can your company do to put an end to the friction and keep your creatives from walking out the door? Here are five essential steps to convincing them to stay. Collaborating effectively with other teams across the company is important, but some stakeholders want to be a little too involved. “Squeaky wheel” clients who think their project should always be the top priority can consume precious time and resources and take away from more strategically important work. Unfortunately, their tactics get the desired results: In the majority of assignments, deadline outranks strategic value in priority consideration, studies have found. Fix: Make it company policy to map all creative projects to strategic objectives and priorities, and require that stakeholders justify their requests against those objectives. Creative briefs can be the perfect place to do this, and they also establish stakeholders’ vision up front. This approach will save your team plenty of heartache from the beginning, but the real benefits will be seen as your company’s resources become more aligned on what matters most. Dealing with difficult clients is one of the most frustrating challenges that creatives face. Conflict among reviewers and stakeholders can drive the number of iterations out of control. To make matters worse, nearly half of all companies do not use proofing software to collect and track feedback, and half have no digital asset management system to keep versioning under control. Fix: Adopt an inline digital proofing system to streamline this most basic function. Doing so will let your team control stakeholders’ input, eliminate disagreements, and reduce back-and-forth changes and rework. Implement a digital asset management solution to manage assets and gain versioning control. The creative process is not like a light bulb that can produce brilliance at the flip of a switch. Brainstorming and conceptualization take time. You wouldn’t know that by the intense pressure put on creative teams to produce more, better collateral—and in record time. In fact, that concern now tops creatives’ lists of anxieties, according to an Adobe report. Not surprisingly, creatives now rank the lack of time as their third biggest challenge, according to an iStock study of creative professionals. Fix: Taking a rearview-mirror look at similar projects from the past will help creatives accurately estimate how long it will take to deliver on a new request. From there, it’s easier to establish and enforce a system to triage, assign, and manage incoming work requests. That approach prevents pushy stakeholders from circumventing the request process with fire drills or pet projects. Of course, along the way, you also need to give stakeholders visibility into your team’s workload so that they can better understand what’s achievable with existing resources. That visibility, combined with strategic prioritization, empowers your team to push back on unrealistic deadlines or to request more resources, if needed. Roughly one-quarter of creatives spend less than two hours a day actually doing creative work, according to the iStock survey. Instead, to get projects done, more than three-quarters work more than 40 hours a week. Fix: Streamline the business processes behind the creative work so the team can spend more time being creative and less time on busywork. Surprisingly, only 16% of in-house teams use creative briefs for projects, and nearly one-fourth don’t use the at all. Don’t make that mistake: Use creative briefs and work request templates to capture all project data and the scope of work up front to eliminate the time wasted chasing down details. In almost any company, meetings are the number-one time waster and creativity killer. Creatives want to spend their time creating, but it seems that just when they get into a “zone” they get pulled away for a 30-minute project status meeting. Meetings are costly: The US Bureau of Labor Statistics estimates that unnecessary meetings cost US businesses approximately $ 37 billion each year. The next time you’re stuck in a status meeting, look around and add up the salary cost. Can you afford for all of those employees to be sitting in the room, not doing their actual jobs? And, if they’re not in meetings, project or account managers are constantly stopping by, emailing, or calling to ask questions or check-in on status, interrupting the creative flow. Fix: You have two primary options, depending on where your business is relative to technology adoption. First, look at establishing “blackout” times that prohibit status meetings during certain hours of the workday to allow staff to concentrate on the work at hand. Doing so allows for more uninterrupted creative time, eliminates the wasted time and money of status meetings and prevents the constant check-ins that interrupt the creative flow. You can also encourage creatives (or even the entire staff) to hang “do not disturb” signs on their door or cubicle so they can concentrate on work. Second, and more effective, is to turn to an enterprise work management system that provides visibility to all stakeholders for all relevant projects—completely eliminating the need for status meetings, status calls, or check-ins. There’s no doubt that creative talent is very valuable for any company. But keeping creatives happy requires more than just a great salary and benefits package. More than half of creative workers say “doing great work” and “seeing their ideas brought to life in the real world” are much more motivating than financial rewards or employer recognition, according to the Adobe New Creatives Report. Fueling the creative spirit means providing an environment where creatives have the freedom and flexibility they need to thrive, which requires establishing a culture where they feel valued for their talents and skills. Adding structure, or process, fuels creativity and minimizes the mundane busy work—allowing creatives to work on those things that are motivating to them. Keeping creatives happy not only improves the ultimate results and effectiveness of their output in meeting business objectives but also reduces cost and improves morale and efficiency across the organization.